In her latest column, our intrepid columnist Lizzie Boyle Says talks to some industry experts about the future of UK comics and finds out that the future is digital! 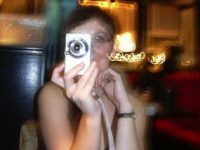 Lizzie Boyle Says: Digital comics make us lazy… so work harder! This month our intrepid columnist LIzzie Boyle Says looks at the laziness that comes with being able to create comics at the click of a button and how to avoid it. Lizzie Boyle Says: Will digital comics start the rise of the machines? In her latest column our intrepid reporter Lizzie Boyle Says wonders if the rise of digital comics may be the first unwitting step in the rise of the machines! This month our intrepid columnist Lizzie Boyle Says looks at 5 things to think about when creating digital comics. 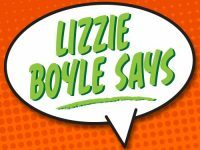 This month our intrepid columnist Lizzie Boyle outlines her top 6 ways to sell 1 million digital comics and become the next comics millionaire! Lizzie Boyle Says: What does 2014 hold for small press comics? Three big trends and one bold prediction! Emerging from the fog of Christmas and New Year, our intrepid columnist Lizzie Boyle finds herself looking forward to an intriguing year for small press comics.